On Tuesday I had my birthday. Since it was not one ending in the three dreaded digits — five, nine, or zero, I suffered little and enjoyed myself somewhat. Actually, much more than somewhat, since I was showered with a tremendous amount of attention from my friends, family and colleagues. My boss, Elsbeth, treated me to an excellent dark chocolate gourmet cake that my buddy, Ling, researched since she knows my dietary issues only too well. Therefore, I was able to eat the entire cake by myself at my desk chanting gluttonously, “Mine, all mine!” Take two; I shared the cake with my colleagues. It was so decadent we ate it over the course of two days. That evening, Milton and I saw a play on Broadway, Enron, chronicling the rise and fall of those titans of corporate greed. We were looking forward to this staging since Lucy Prebble, the show’s creator, has had such great buzz. It’s mind blowing that a woman born in 1981 already has a show on Broadway. My colleague, Elaine, had seen Enron a week earlier and she thought it was terrific. Her assessment has clout with us, so it was a surprise that we did not share her enthusiasm. In fact, it was a bit shocking. I agree with Milton’s one word assessment, “Dull.” He said he found it as dreadful as anything we have seen through the years written by Caryl Churchill. The 2008 staging of Top Girls was possibly our most negative theatergoing experience ever because we found the narrative baffling and I was coming down with a monumental cold. Following Enron was not a struggle. Even though it was packed with glitz, dancing, singing, light sabers, actors in mouse and alligator heads, I found myself nodding out during the second act. At the play’s conclusion, a pudgy balding middle age guy that looked like a Statistical Thermodynamics professor in khakis and a short sleeve plaid shirt sprang to his feet, applauding and screaming in ecstasy. For an instant I wondered if he and I saw the same show. 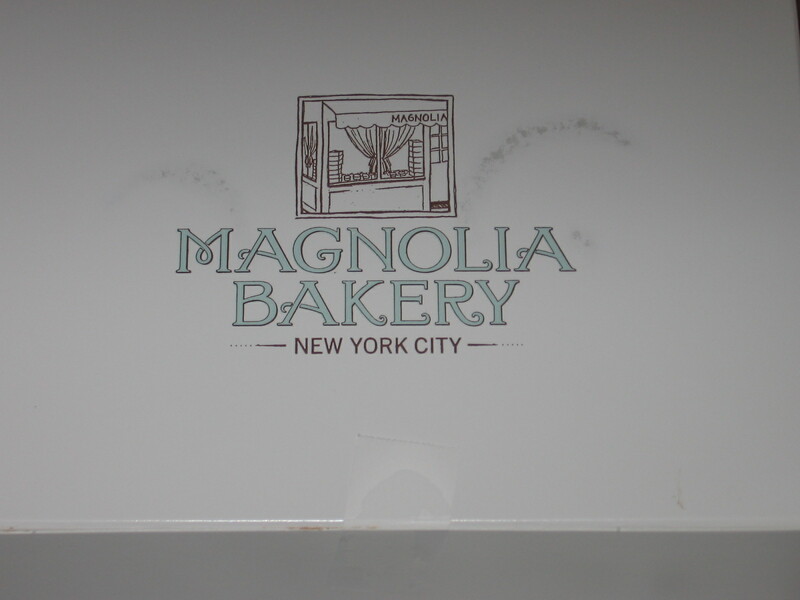 Afterward, Milton and I headed uptown to the Magnolia Bakery on Columbus Avenue where we stuffed ourselves with chocolate banana cupcakes. It is a bit amazing that I did not suffer sugar shock since I so indulged in dessert that day. Good things come inside this box. Out of focus good things. Even though the play was disappointing, the only downside to this year’s birthday was minimal; waking that morning with pillow creases dented into my head. Happy happy joy joy. Older and forehead creased. Fortunately, they faded by the time I arrived at work. 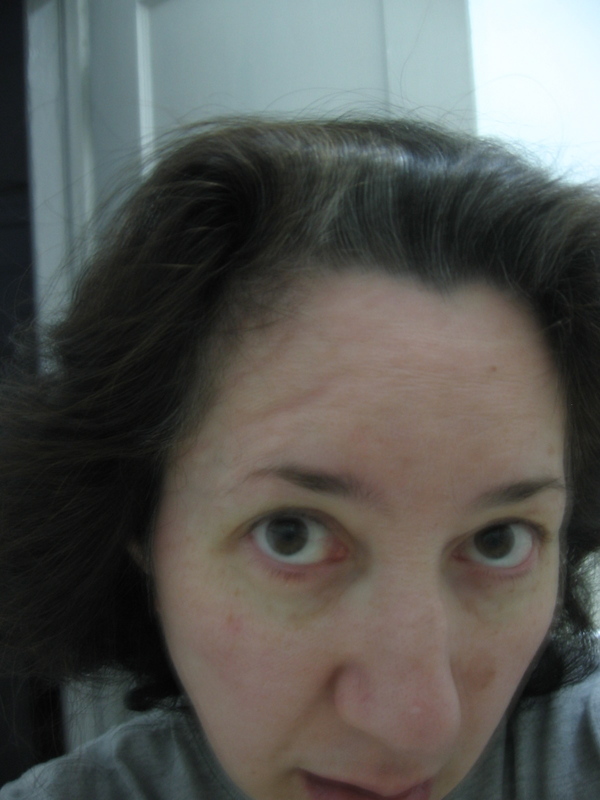 On the train ride in, I did not notice anyone zeroing in on my forehead, unlike in 2004 during a blizzard when I smacked my head hard on a low hanging air conditioner and was sporting the General Electric logo for almost the entire workday. This was when I was working in broadcast news as a digital feed ingester, a position almost as appealing as death row inmate, but less spiritually fulfilling. Banging my head into that block of frozen metal in white out conditions hurt tremendously. I had to fight to maintain consciousness. I arrived at work five minutes late still feeling disoriented. Due to the fierce weather, many members of the staff were no shows, so the network was operating with a skeletal crew. When I arrived at 8:05 instead of 8:00, the stressed producer screamed his lungs out at me. Spit was flying out of his face into mine. I stood uncharacteristically passive because a gong continued to ring non-stop inside my throbbing head. I only remember what he said when he concluded his tirade, “Is that the GE logo on your head?” Too bad I wasn’t employed by NBC. Maybe they would have awarded me a bonus. Although I am not a fan of the aging process, it’s going okay thus far. 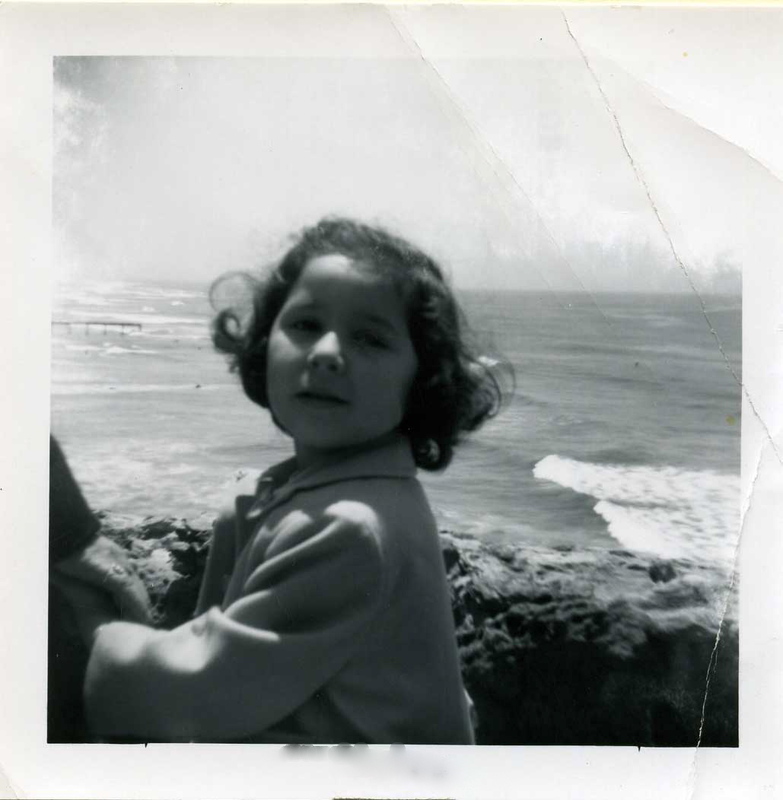 Me in days of yore; forehead creaseless. 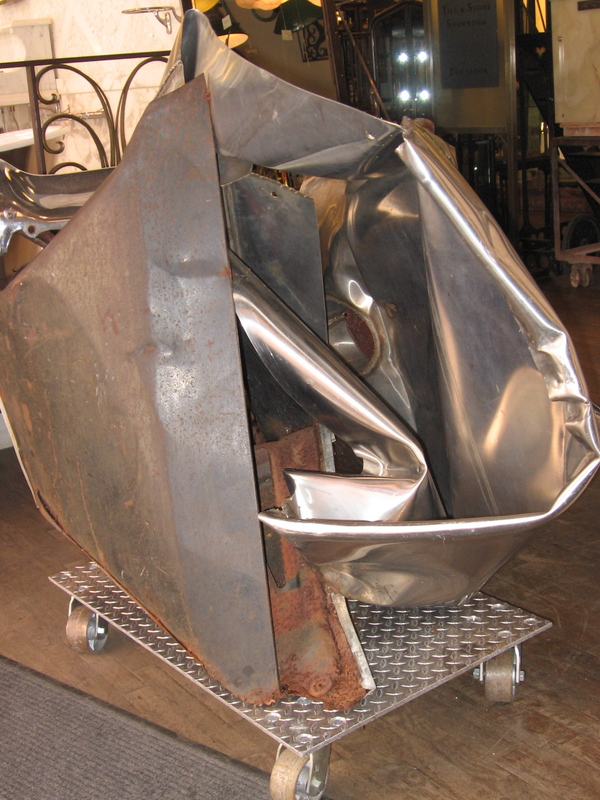 At least I’m not going in the direction of a John Chamberlain sculpture … yet. This entry was posted in Humor and tagged caryl churchill, cupcakes, enron, john chamberlain, lucy prebble, magnolia bakery, top girls. Bookmark the permalink. Look at your cute self as a wee one! Yummy! 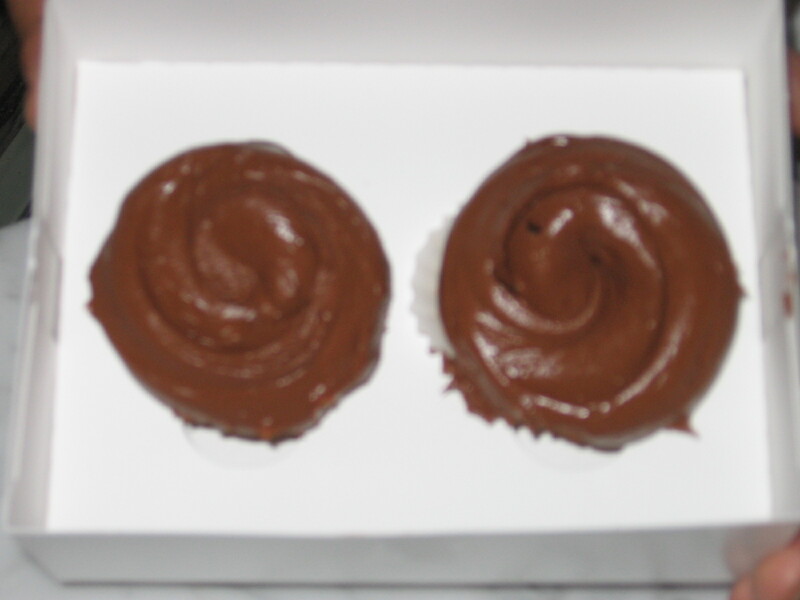 The banana cupcakes with chocolate icing are my favorite thing at the bakery!! (I work there and I promise I’m not just saying that, it’s actually true.) Thanks for the kind words! Hey Misty, please bring that cupcake back so I can take a better picture of it! It’s great! OMG– Sorry to say it, but your telling of this is hystertical–as usual. And, good God, those cupcakes look amazing! I’m salivating——— Happy (very) belated birthday. Glad you appreciate my nearly unintentionally offing myself in a blizzard. I’ve had an eye out for every low hanging A/C in my neighborhood ever since. That flavor of cupcake was wonderful, but they don’t have it often enough! Grrrrrrrrrrr.